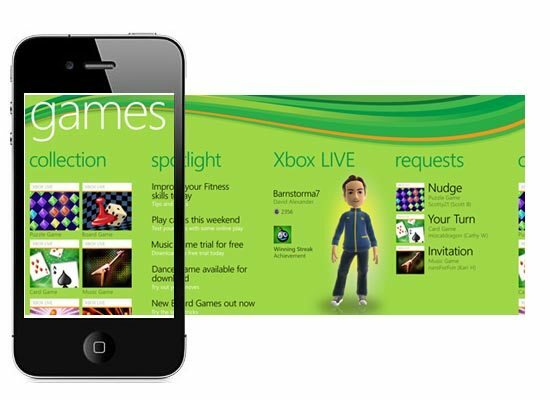 According to a recent job listing, Microsoft is looking to port its Xbox LIVE gaming portal to iOS and Android. As you may recall from not too long ago, the Xbox LIVE app arrived in the App Store but the gameplay aspect of the app remained a WP7-only feature. The apps that Microsoft release in the App Store always seem to do well, just look at the Xbox LIVE app, Kinectimals, and SkyDrive. Xbox LIVE Mobile team is looking for a passionate and experienced developer to join us brining Xbox LIVE entertainment experiences to various mobile platforms. As the team inside IEB (Interactive Entertainment Business) dedicated to mobile experiences, we work closely with console software team and Xbox LIVE services team to bring the latest and greatest gaming and entertainment experience to mobile platforms including Windows Phone, iOS and other mobile platforms. Combining Xbox LIVE experiences together with mobile devices has enabled many new opportunities and interesting user scenarios such as location based gaming and social networking, avatar with presence, etc. As a software development engineer on the team, you will have the opportunity to help define and design the experiences for the project, you will get to work with a team of energetic and talented developers, and you will have the luxury to work with all sorts of mobile devices to create the official Xbox LIVE mobile experiences. This is great news for iOS users who play Xbox. Xbox LIVE’s marketplace stores thousands of downloadable games and add-ons that are either free, or very cheap.